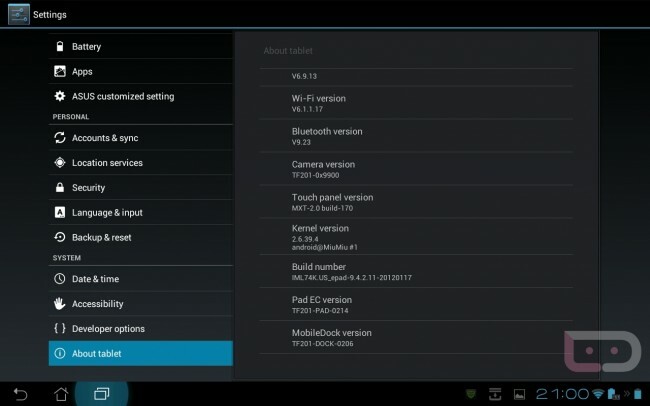 The Asus Transformer Prime has an update available as build 9.4.2.11. So far, we have absolutely no idea what it is fixing, but we will be on the lookout for a changelog. In the mean time, be sure to pull it by heading into Settings>About tablet>System firmware update. Update: It appears now to be another GPS and camera update.